The 1960 Year Book carried the history of CFA through the Annual Meeting of 1932. The legal problems which caused some of the delegates to that meeting to be disturbed by the system then used to select board members continued. The minutes of the board meetings for the years 1932-33 are restrained, but tension is building. At the board meeting which was held immediately prior to the 1933 Annual Meeting, restraint dropped, and trouble erupted. The Constitution at that time did not limit the number of votes and proxies any one person might carry. Mr. and Mrs. Arch Horne usually carried sufficient votes to control the annual meeting, but the members of the board split four to three against Mr. and Mrs. Horne. On motion by Mr. Frederick B. Eddy, seconded by Mrs. R. W. Grosset, the board decided four to three that member clubs in good standing on November 30, be considered as in good standing for the Annual Meeting. On motion by Mrs. Grosset, seconded by Mr. Eddy, the board also decided four to three that delegates presenting credentials be seated at the Annual Meeting regardless of the date of notification to the Secretary. The effect of these parliamentary moves was to seat delegates from twenty-five clubs, having a total of seventy-five votes. Forty-two of these votes were known to support the position taken by the Grosset, Eddy, Mrs. Mary B. Warfel, Mr. Charles V. Fiala group on the board; thirty-three supported the position taken by the Mr. and Mrs. Horne and Mrs. F.O. Pratt group on the board. The Annual Meeting convened at 2:30 p.m., immediately after the adjournment of the board meeting. In the absence of Mrs. Gertrude E. Taylor, the president, the chair was taken by Miss Elsie G. Hydon, vice-president. Following the precedent set at the 1932 Annual Meeting, Miss Hydon requested that Robert H. Winn, an attorney who had been brought to the meeting by delegates from the Columbian Cat Fanciers of Washington, D.C., act as chairman of the meeting. After the usual reports, and a reference of matters presented by the club to the board of directors, the meeting proceeded to the election of officers. Miss Mary Hantzmon nominated Miss Hydon for president. Mrs. Pratt nominated Dr. Fances L. McCrakon. Dr. McCrakon declined the nomination. Miss Hydon was elected fourty-two votes to none, the minority votes not being cast. Mrs. H. L. Bundrock was elected vice-president by the same forty-two votes. Miss Hantzmon was similarly elected Secretary-Treasurer after Mr. Horne had declined a nomination. The election of directors presented a problem. None of the board delegates present among the minority group would permit his name to be placed in nomination. Miss Hydon, Mrs. Grosset, Mrs. Elisabeth Clarson and Mr. Fiala were elected, the chair ruling that three members of the old board held over. At this time, Mr. Horne attempted to resign as a member of the board. The Annual Meeting adjourned at 3:30 p.m., and the meeting of the new board convened at 3:45 p.m. At this meeting, three clubs resigned from the Association, and the board elected Miss Hantzmon, Mrs. Warfel and Mr. Eddy to the positions on the board which had not been filled at the Annual Meeting. Thus, with two board meetings, and an Annual Meeting held on the 23rd day of February, 1933, a new administration headed by Miss Elsie G. Hydon began for CFA. The growth and development of the Association was to continue under her guiding hand for seventeen years. As an aftermath of the Annual Meeting, three more member clubs resigned, and five CFA judges asked that their names be dropped from the list of judges. Mrs. Anette MacCarthy was continued as recorder. At the June 1933 board meeting, another judge resigned, but a new club was added to the membership in CFA. Also, several new judges were added to the list of judges, including Mrs. Annie B. Revington. At the July meeting, six new judges were added to the list, including Mrs. Ralph Saxby-Mabie. The August meeting saw six more names added to the judges list, a new club composed of minority members of a former CFA club which had resigned after the 1933 Annual Meeting was accepted into membership, and a special meeting of the members was called for October 16, 1933, to vote on amendments to the Constitution. Early in 1934, Mr. Fiala died, and Mrs. Hortense L. Morfit was elected to this vacancy on the board. The problem of communication was one that has always been present in such associations as CFA. At the 1934 Annual Meeting, serious consideration was given to the publication of an official CFA magazine. Mr. H.B. Zieses, representing the Detroit Persian Society, urged that CFA undertake such a project, with Mr. and Mrs. L.N. Hildebrand of Detroit as editors and publishers. No action was taken at this meeting. Officers of the Association were reelected, and Mrs. Grosset asked that Mrs. Lillian G. Goodeve be elected to the Board in her place. With this change, the old board was also reelected. Before the 1935 Annual Meeting, the board sponsored the Cat Gazette under the management of Mr. John Paul Dorland, of Rutledge, Penna. Support for this official CFA publication was sought from the member clubs. The support given was apparently less than the publisher expected. During the succeeding year, the Cat Gazette was taken over by Mrs. Hildebrand. In April 1935, Mr. Eddy resigned from the board. Apparently Miss Hantzmon also resigned, because the board elected Mrs. Orville H. Stewart and Mr. H.B. Zieses to two vacancies. 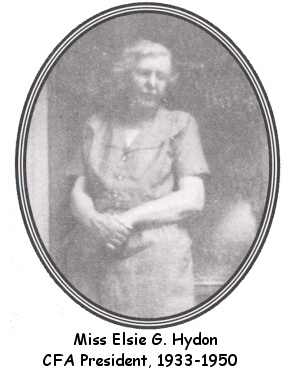 Mrs. Martin K. Metcalf was appointed recorder in April 1935 on the resignation of Mrs. MacCarthy. In October 1935, Mrs. Clarson resigned from the board, and Miss Muriel Glenz was elected to succeed her.